It all began in May of 2006 when six young birders met with staff from Black Swamp Bird Observatory and many other volunteers to discuss forming a club for young people with an interest in birds and nature. 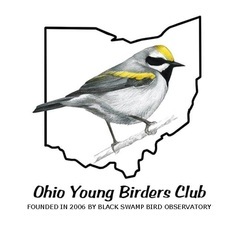 What they helped create that day was the Ohio Young Birders Club: a program for young people ages 12-18. Since that fateful day in 2006, the OYBC has become a model for youth birding programs around the country. The BSBO staff has assisted in creating similar programs in more than a dozen states. In recent years, the OYBC has developed regional chapters as we continue to do all that we can to help connect young people with birds and nature - and bring them together with other like-minded young people from around the state. In 2012, BSBO's success with the OYBC led to a partnership with Cornell Lab of Ornithology (CLO). Along with our partners at CLO, we created the Young Birders Network (YBN). The YBN aims to provide resources for young birders to connect and learn, while giving their adult advocates resources to encourage and support. Though the network is primarily geared for ages 12-18, younger birders and college students alike may also find relevant resources. So many wonderful things have happened since that first meeting back in 2006, and we could not have accomplished this without the support of our OYBC members and supporters. We offer our deepest and most sincere thanks want to the parents, partnering organizations, and the Ohio birding community for providing us with the support and the necessary resources to make this club a success. Here's to many more years of encouraging, educating, and empowering our youth conservation leaders!